Recently I was out to lunch in Larkspur and when walking around afterwards I stumbled upon this a boutique bakery. It was so dainty and reminded of some of the little places I saw in Paris last summer so I decided to check it out. 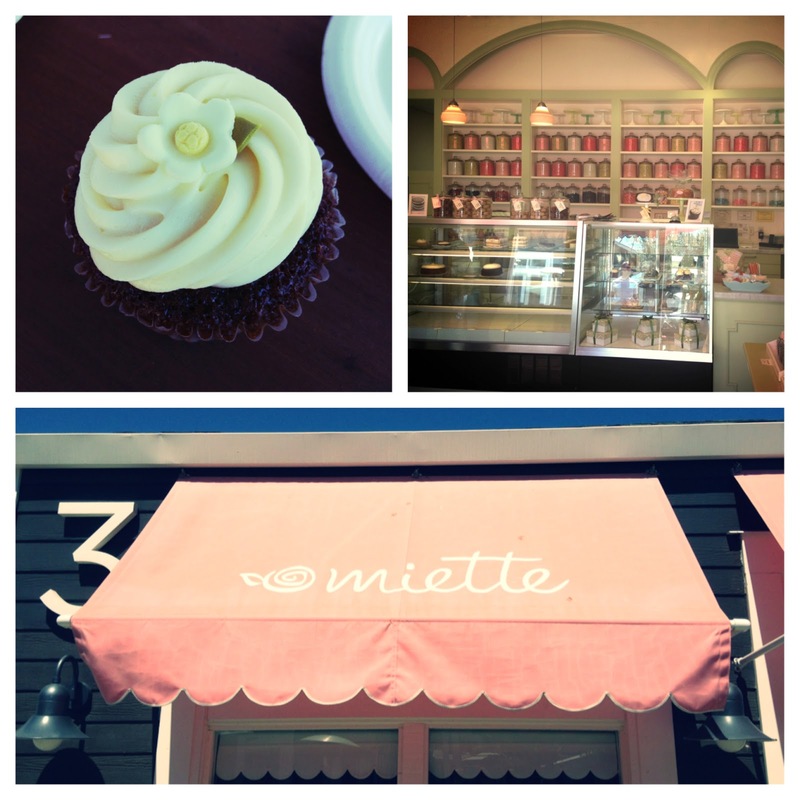 It was a little placed named Miette which is French for "crumb". They had macaroons, cakes, cupcakes, and other specialty desserts. I had just planned on looking until I saw a sign with the Food Network logo and I asked them about it. Apparently, they had been chosen by the Food Network as having one of the best cupcakes in America. I was sold, I had to try it out :) They are famous for their gingerbread cupcake which is made with the normal spices like cinnamon, cardamon, nutmeg, and.....Guinness! It's a beer spiked cupcake! I bought one and I was a big fan of how it was a regular sized cupcake. Usually the enormous ones are way too much sugar, but this was the perfect size. The cake was slightly dense and sweet with a definite depth to the flavor from the beer. I also enjoyed the cream cheese frosting. It was only slightly sweetened so it was nice and light. Overall, I am very glad I stumbled upon this bakery and hope to stop by one of their other locations soon! Tip: If your birthday is coming up make sure to put in an order at their Larkspur location and you'll get a free cake!